This is officially my first post for the year. I have been quite busy with the recent holiday season so I’ve been putting off updating my blog for a bit, but I am now back. I hope everyone rang in the new year wonderfully. I’ll be sharing some pics later from our own little cosy celebration and maybe some other posts too to make up for my absence. So let us get the ball rollling and welcome 2013 with open hearts and lots of positivity. Cheers to 2013, let’s make it a great year! 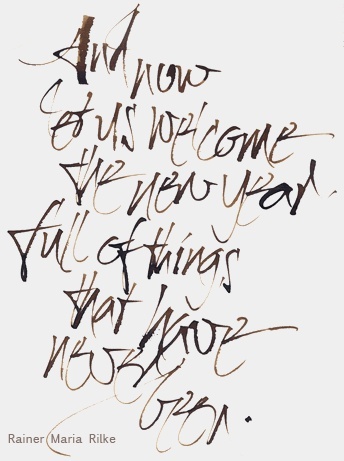 (-: “And now we welcome the new year, full of things that have never been.” ― Rainer Maria Rilke.